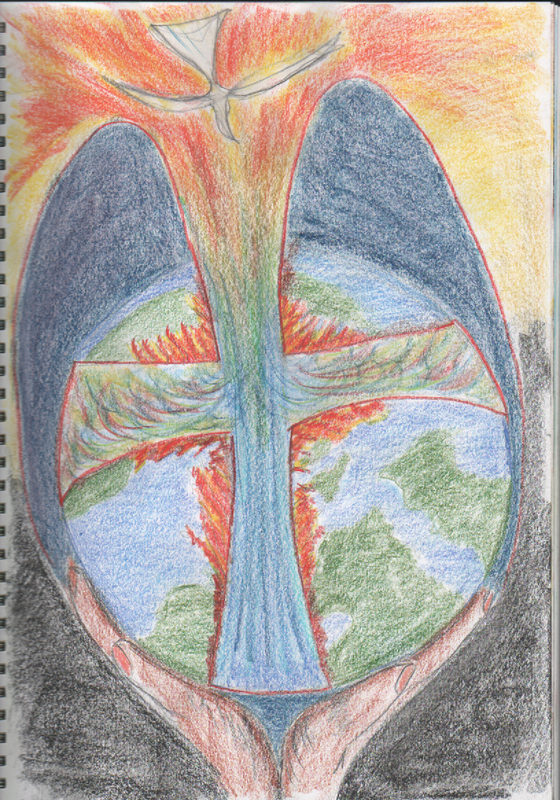 This image is another created at the Wesley Study Centre retreat at Ampleforth as part of a session creating icons for worship on the Fire of the Holy Spirit (or at least that’s what I remember). This piece is pretty self-explanatory and I guess I should refrain from explaining it and just allow you to find your own meaning in it as a window to reflect upon, to worship and maybe to encounter the Holy Spirit of the creator God. I’ve probably said too much already. I love this icon picture Tim. If it was a poster, I’d buy it. Let me know when it is published! I shall explore the printing costs and let you know.